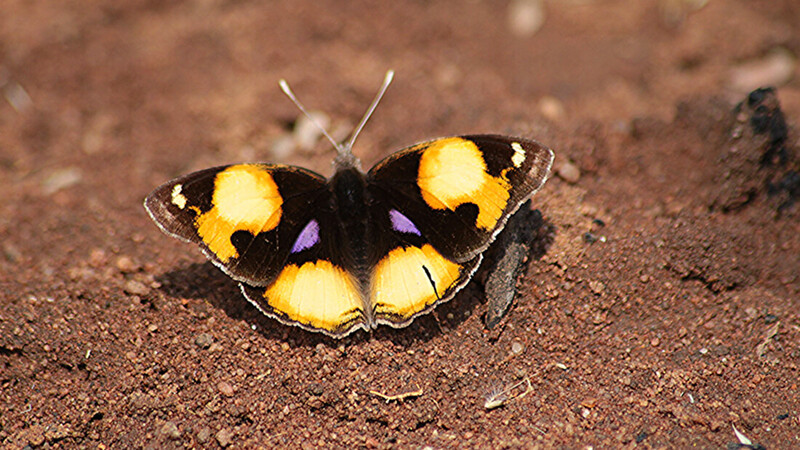 The butterfly in question is a Yellow Pansy. It is one of the more common butterflies on Kaingo at the start of spring, and certainly one of the most beautiful butterflies around. Cryptically coloured to keep it from being eaten when on the ground, drinking in the first photograph, it relies on its very bright yellow and blue spots to either confuse or frighten a potential predator from eating it. It does not end there! 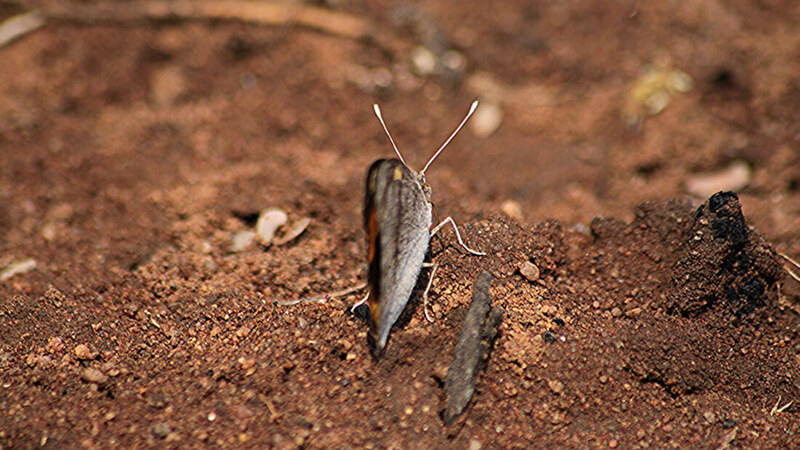 Males vie for the attentions of the females by flashing their wings. An unbroken, vibrantly coloured set of wings will therefore attract the female for mating and eventual egg laying. Arial dogfights are common, with some very fancy flying done by possible suiters. In these fights, wing damage is common, thus older males tend to be at a distinct disadvantage to get the girl! On Kaingo the ‘butterfly season’ is only just starting. We will try to keep you updated on the best, most beautiful and impressive of this insect family. Keep looking and tell us about your own experiences with butterflies on your travels or at home!